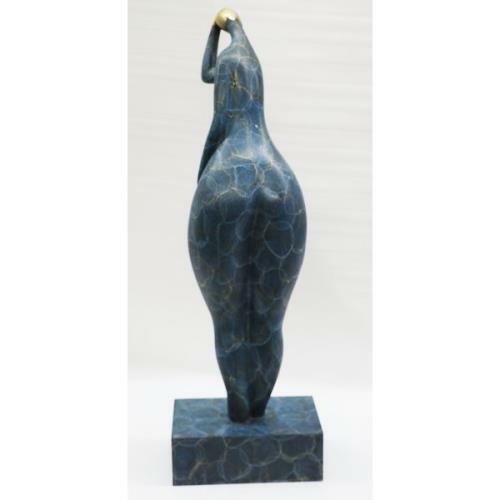 An abstract Limited Edition female dancer sculpture. You can just tell this is a powerful dancer in the sharpness of her position. 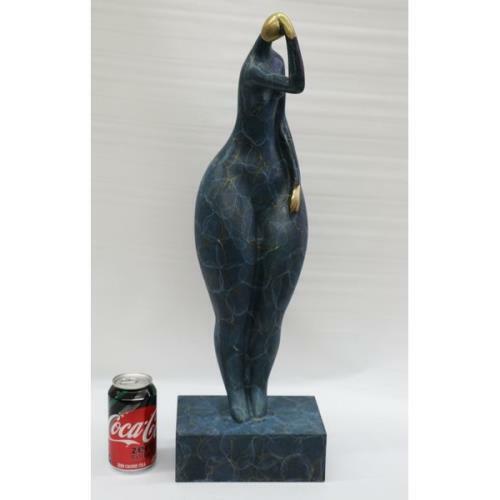 This wonderfully curvaceous woman bears the wide hips commonly attributed to femininity and fertility. 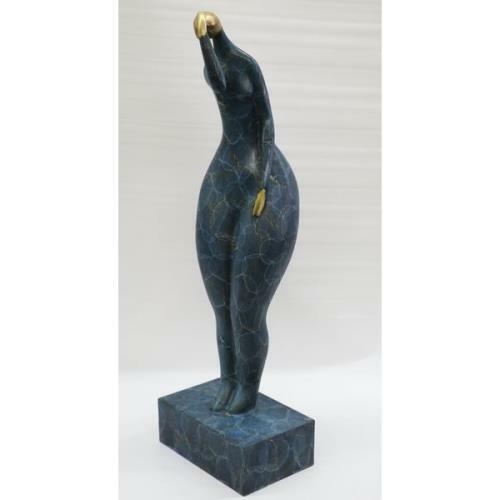 It is a 100% bronze, cast using the lost wax method and stands tall on Genuine bronze base with multi color Green Blue patina. 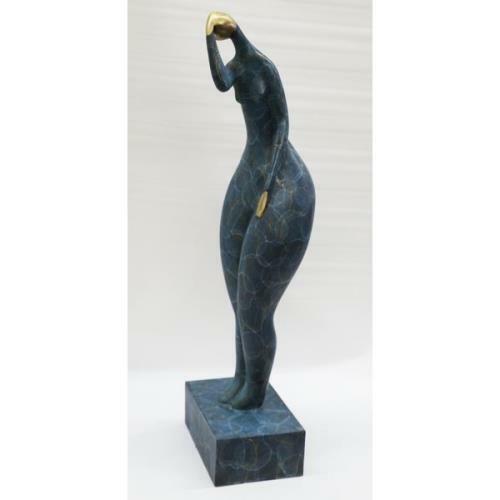 Bronze Dimensions: Height 24 X 8 Inches. Weight: 10 LBS. 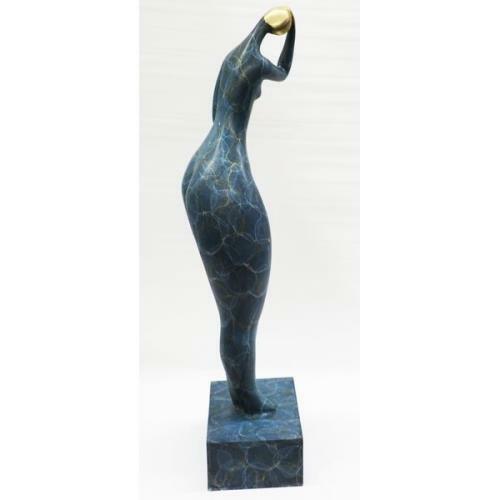 Lost Wax Casting has been around for thousands of years, yet few people understand how the process actually works. 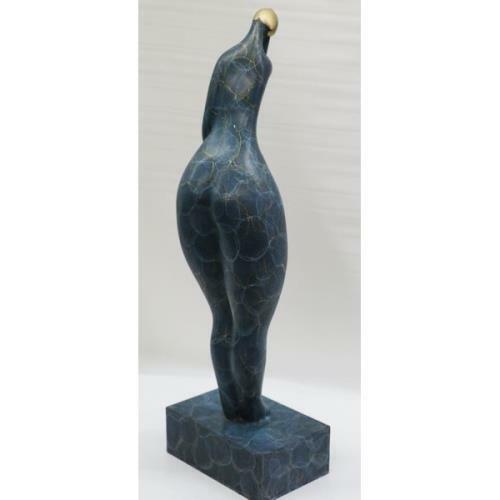 Although mechanization has facilitated the lost wax process of bronze casting, the procedure is the same as that used by the Chinese when they first developed the process in the Second Millennium BC.